A good marketing plan includes strategy, and a good marketing strategy includes content. A content calendar keeps you focused and keeps your content in line with your overall strategy. The information included helps to ensure content topics are not only in line with your plans, but that they speak to your target audience and touch on various topics related to your campaigns, promotions, or target audience’s needs. Currently planning your Q3 marketing campaign? Build your content strategy for that quarter in advance, and ensure you cover all of the major topics by following what’s been set on your calendar. There are many parts to a good blog post. The content is important, but many factors play into a successful post. Key elements such as CTA button(s), author, image, campaign and publish date, help keep your content organized, on track, and focused. They help you visualize each aspect of the posts in one place so you aren’t leaving out any content for major campaigns, didn’t forget to include any posts your employees sent you, and aren’t using the same CTA button too often (unless, of course, that’s your strategy). Another major benefit of the content calendar is that it keeps you on a schedule. Let’s be honest, a good marketer stays busy, and sometimes it’s easy to let things like blog posts slide through the cracks when major campaigns and promotions are happening. A content calendar establishes the expectation and can help keep a marketer or marketing team focused and publishing content consistently. As previously mentioned, we know you’re busy. Using a content calendar can help you actually get ahead by creating content in advance of the actual date it needs to publish. If your dates are set on the content calendar, you can knock out a major set of content for an extended period of time which gets you ahead, and relieves stress in an already stressful job. 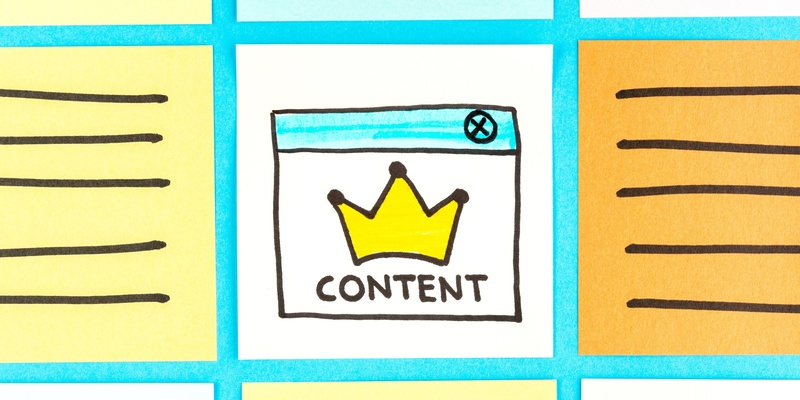 What Makes an Awesome Content Calendar? Titles - It’s important that we can identify a specific piece of content on the calendar. If a generic set of words describing the post is used instead of the actual calendar, it is harder to identify and ensure accuracy throughout the content planning and implementation process. Author - If your blog utilizes multiple authors, keep track of who’s content is publishing, when it publishes, and how often. Companies may have varying strategies around who actually authors their post, but if you use multiple authors, including this piece of information on the content calendar will be helpful to visualize the overall order of who is publishing and when. Publish Date - Including the publish date establishes expectations and helps manage the content planning and management process. The person overseeing the content is able to manage the timeline to ensure it is completed and scheduled without any surprises. CTA - Good content should educate and encourage action, and including a call-to-action button (CTA) is good practice when trying to move readers through the sales funnel. By including the CTA being included in the blog post on the content calendar, you can ensure you are promoting the campaigns or actions that fit into your overall marketing strategy with each post that’s published. Related Campaign - Speaking of campaigns, it’s smart to add the specific campaign that a blog post is related to, especially during timely campaigns. This ensures you are publishing content related to your campaigns and that you are evenly distributing content that speaks to the areas you need to promote and not overloading your readers with the same type of content for a long period of time. Tracking Code - This might look different for each company, but you need a system that communicates where your content is in the content creation process. Is it being written? Is the draft being reviewed? Is it scheduled to publish? We have found that a color code tracking system is efficient and effective for communicating the various stages of the content creation process to ensure everyone involved can clearly determine where a piece of content is at any time. Shareable Document - Utilizing a document that’s shareable and easy to access is key to transparent communication between all employees or partners involved in the content creation and publishing process. Google Docs or OneDrive are both platforms that are easily accessible, shareable and editable between multiple parties. We’ve found that there are many benefits of using a content calendar to keep our team on track, strategic, and focused. What are some items you think should be included on a content calendar? Share in the comments below - we are always looking to improve our content process and make it more efficient and effective!